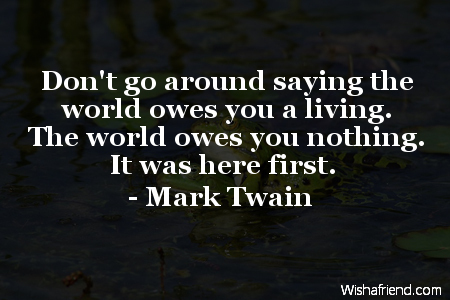 Mark Twain Quote: Don't go around saying the world owes you a living. The world owes you nothing. It was here first.